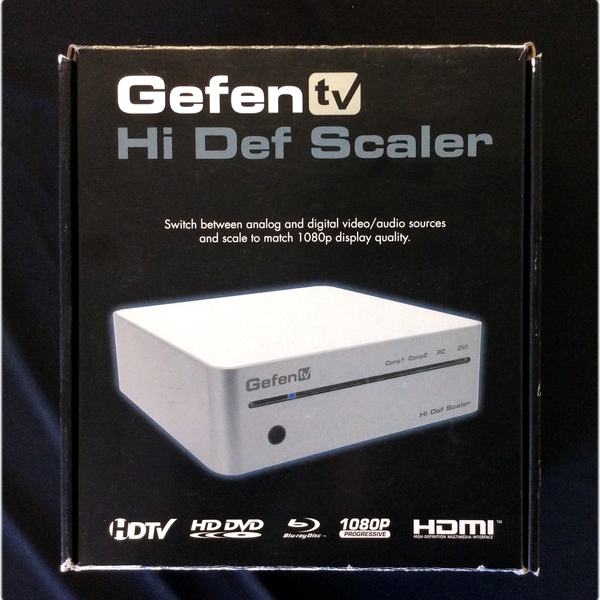 The Gefen HD Mate Scaler allows you to upscale and switch your standard definition or high definition component sources to resolutions up to 1080p. Anything from set-top boxes, DVD players to the next generation of gaming consoles including the Xbox 360 and PS3 can be plugged into the HD Mate Scaler. 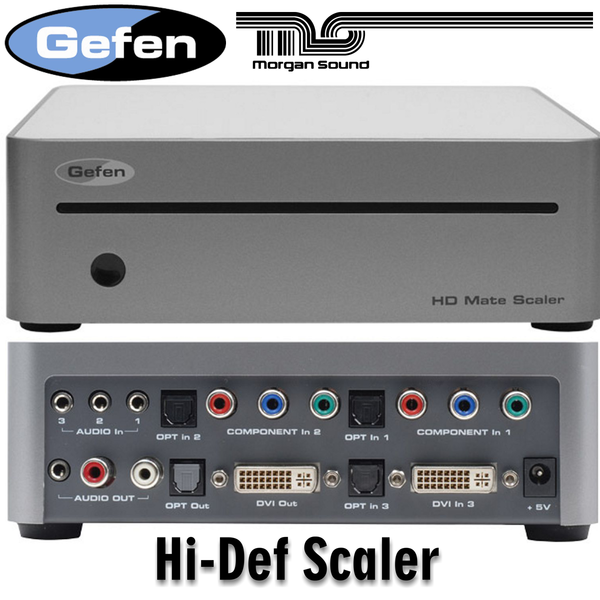 The HD Mate Scaler supports two component sources and one DVI source all with digital TOSlink and analog audio inputs. 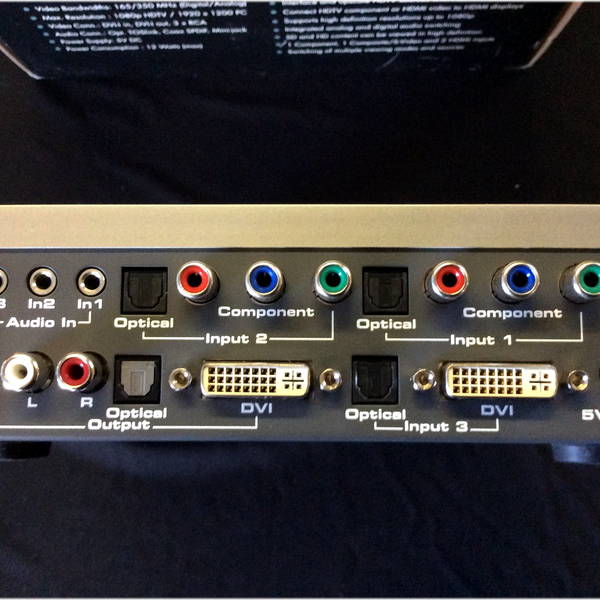 The analog audio inputs will be outputted as analog audio and the digital TOSlink audio inputs will be outputted as digital TOSlink audio. 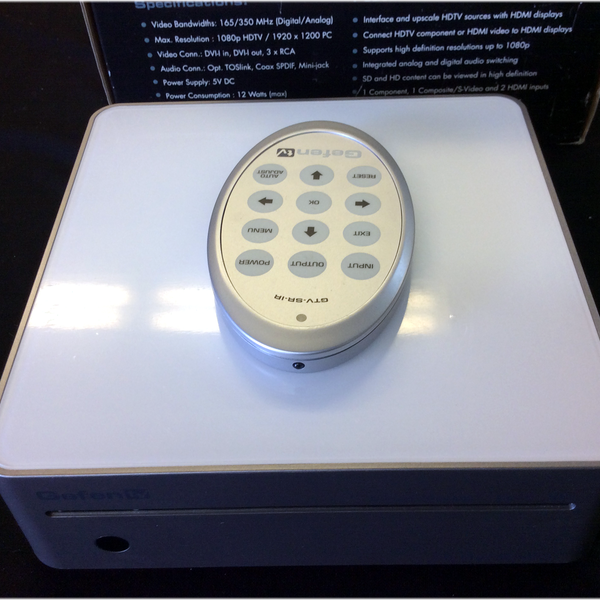 Easy to use on-screen menus accessible through the IR remote control allow for effortless setup and image adjustment to accommodate different viewing modes and screen sizes. •	Both digital and analog inputs are format converted and pixel re-scaled through the HD Mate Scaler. It outputs a large range of formats and resolutions that will easily match the native resolution/ format of your display to ensure highest picture quality. •	Supports digital HD output up to 1080p. •	Dual high quality scaling engines. •	Dual 3-D motion video adaptive de-interlacers with smooth low-angle edge. •	Automatic 3:2 pull-down & 2:2 pull-down detection and recovery. •	High performance frame rate conversion engine. •	3D noise reduction on analog inputs only. 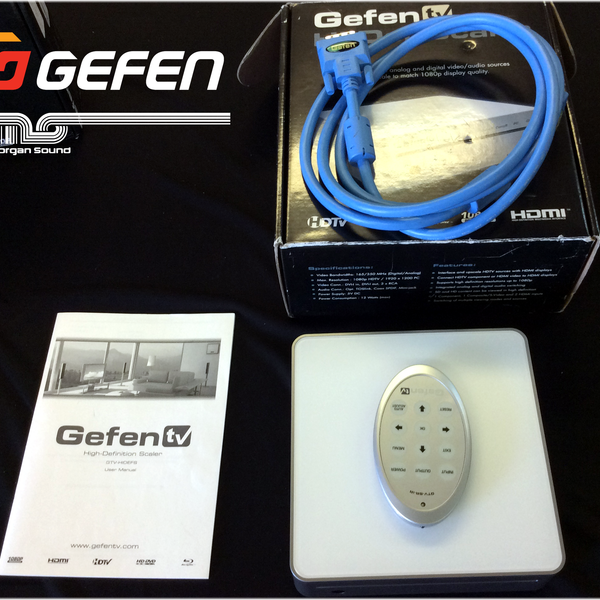 •	Operates through on-screen OSD menu control and remote control. •	Shipping Weight: 6 lbs.